VR Pricing. Sellers will consider offers between $595,000 and $745,900. Spaulding Lake! Gorgeous 3/4 Bedroom, 3.5 bath ranch. Cost to reproduce this beauty would be well over one million dollars! All you would expect in a custom built/high end home. Exceptional eat-in kit features granite counters, Jenn Air appliances, wine chiller, center island, brkfst bar, pantry & hrdwd flrs. Large mstr bdrm suite w/frplc & glamour bath. Liv Rm w/hrdwd flrs & frplc, office/den or 4th BR w/custom wood cabinets. 2 new furnaces 2 new AC units & 2 new tankless water heaters. Central air & vac, whole house generator. New Kohler awning over cobblestone patio overlooks private/wooded yard. Sec sys & lawn sprinklers. 3 car heated gar! Access to community Clubhouse for special parties & get togethers. The large picturesque lake features sandy beach, boating/canoeing and swimming! Ledgeview Elementary School Elementary School / Public 9 0.58 mi. Clarence Middle School Middle School / Public 7 1.24 mi. Clarence Senior High School High School / Public 9 0.78 mi. Nativity Of Mary School * Pre-School, Elementary School, Middle School / Private N/A 2.48 mi. Clarence Center Elementary School * Elementary School / Public 7 1.96 mi. Sheridan Hill Elementary School * Elementary School / Public 9 1.96 mi. 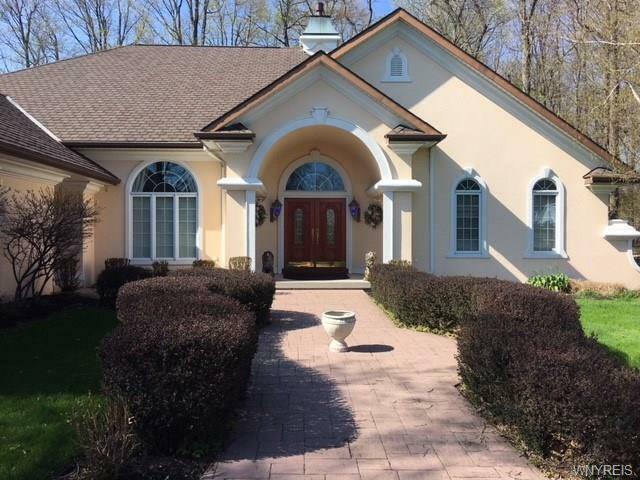 9612 Cobblestone Drive, Clarence, NY 14031 is a 4 bedroom, 3.5 bath single family home was sold for $645,000 by Carmen Laurendi in the Grand Island real estate office.